Waiting for Pascal to make its presence known. Nvidia's Pascal and AMD's Polaris architectures have stolen the spotlight in the GPU sector as of late, but it's Nvidia's previous generation GeForce GTX 970 graphics card that's still the most popular among Steam gamers, Steam's hardware survey for July reveals. Given how new Pascal and Polaris parts are, it's not surprising that Maxwell would still hold the top spot in graphics card ownership, at least for now. 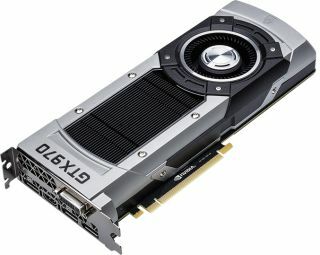 According to the survey, a little over 5 percent of Steam gamers wield a GeForce GTX 970 graphics card, compared to 3.59 percent who use a GeForce GTX 960 and, somewhat surprisingly, 3.09 percent getting their gaming fix with Intel's integrated HD Graphics 4000 to round out the top three spots. Positioning is likely to change in the coming months. Both Pascal and Polaris emerged with relatively high bang-for-buck propositions, though it will take some time for consistent availability. It won't be surprising if the GeForce GTX 970 still holds the top spot at the end of August. So what else are the majority of gamers running, according to Steam's system audits? If building a system based on the most popular parts from Steam's hardware survey, you'd have a dual-core rig clocked somewhere between 2.3GHz to 2.69GHz with 8GB of RAM, 250GB to 499GB of storage, and Windows 10 64-bit. And for those with single displays, the most used resolutions is 1920x1080. Now that you know what most Steam users are running and what the PC Gamer staff is rocking, tell us about your setup(s)!